Gross Ends Titans Run, Titans District runner-up! 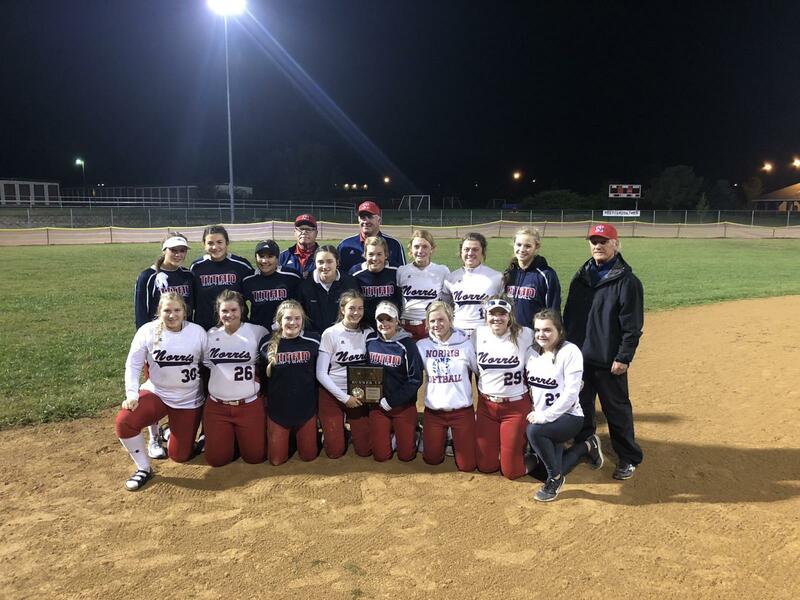 Omaha Gross and Norris were the last 2 teams remaining in the B-2 District tournament, with Norris needing to beat the Cougars in order to face them again in a championship game. The Cougars looked like they would run away with the district title when they jumped to 7-0 lead after 4 innings. But the NHS offense came alive in the 5th and scored 5 runs, sparked by Olivia Ozenbaugh's 3 RBI homer. Norris then tied the game 7-7 in the top of the 7th frame with RBI's from Ozenbaugh and Ana Krueger. But in the bottom of the 7th the Cougars pushed across the game winner in walk off fashion ending Norris' district run. The Titans finished their season as district runners-up and posted a final 21-12 season record.